Are you experiencing a tingling feeling and numbness in your hand or sometimes even pain that goes down your shoulder and arm? If yes, then read on as we explain more about this condition and the ways to treat it. What is Cervical Radiculopathy and how it is caused? When a nerve in the cervical spine (neck) gets compressed then this condition is called Cervical Radiculopathy. These nerves start from the neck, exit the spine and extend into your arm from the spaces that are between the bones in our neck. The discs between these bones act as a cushion for them. The pain or numbness occurs when a nerve gets compressed or irritated as the nerve is pressed on by the disc or if due to arthritis, by spurs that develop in the bones and joints, reducing the size of the hole that the nerve exits through. Nerve irritation can also occur sometimes due to inflammation of joints in the spine. The symptoms of Cervical Radiculopathy typically appear intermittently. In the beginning it will come and go and then they can develop gradually or come on very quickly. The symptoms include weakness, pain, or numbness in the areas covered by the affected nerve. Pain is typically felt in one area only such as shoulder and then gradually it progresses to the entire arm, hands, and fingers. The pain can vary from person to person. For some it can be a dull and general pain and for others it can be described as severe burning or sharp pain. Those suffering from Cervical Radiculopathy may also get a tingling feeling like pins and needles which may be accompanied by numbness. This can also affect the ability of the person to lift or grip objects or even perform daily tasks such as typing, writing or changing clothes. The pain can also wake you during the night. Treatment is typically managed based on the severity and the underlying cause of the symptoms. Adequate rest or a few lifestyle modifications may resolve the minor symptoms. It is advisable to limit strenuous activities, lifting of heavy objects and using better posture. Applying ice packs or gels may also help to relieve the pain. 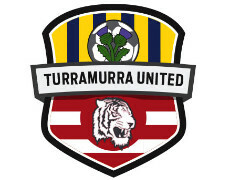 The team at Turramurra Sport and Spinal Physiotherapy aim to reduce the nerve tension and compression by using various manual techniques including neck joint mobilisation and traction. So, if you feel that you have any of the above symptoms then call 9144-1510 now to schedule an appointment with one of our physiotherapists.